Original painting in acrylic and acryli marker pens on canvas, 2016-17. 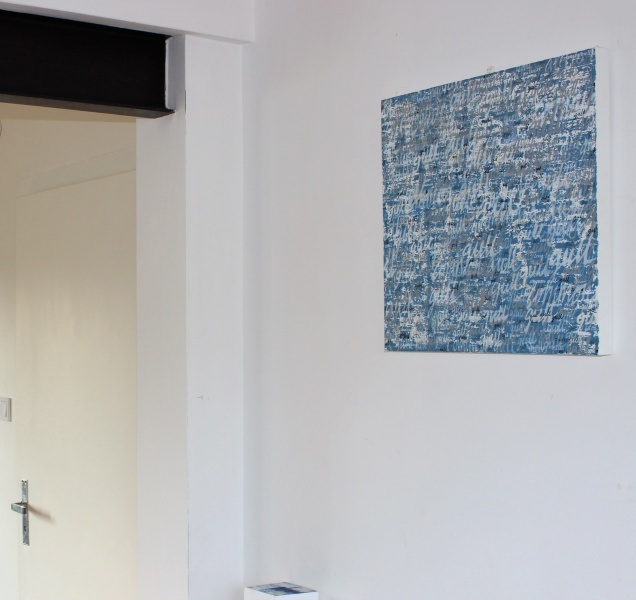 "Latest in a series of works inspired by the sea. 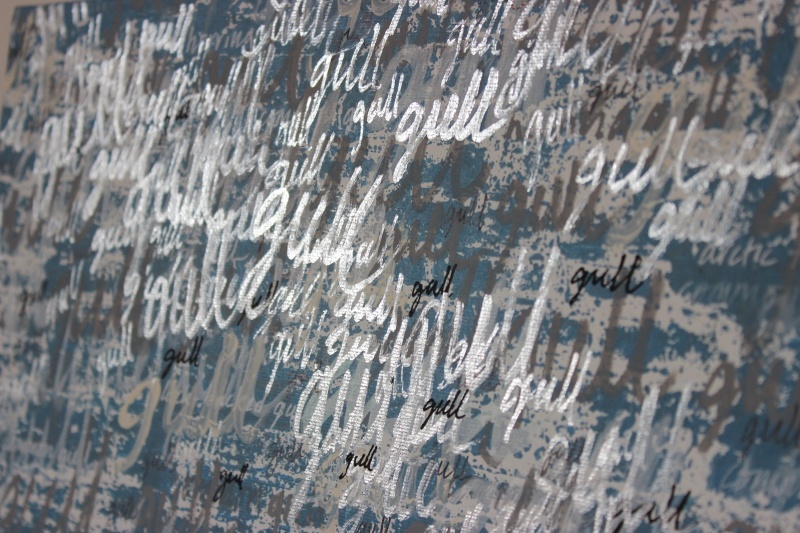 The script 'gull' is repeated infinitely by hand, varying tone and scale to create a depth and density to a 'seascape' in the manner of past work on this personal theme."